Almost everyone uses Facebook, but almost everyone agrees that the social network has quite a few problems. Chances are, most Facebook users have encountered some feature or flaw--from overarching privacy concerns to assorted interface annoyances--that made them reconsider their membership in the social network. Nevertheless, Facebook users tend to stick around because they believe that the benefits outweigh the costs--and because they don't know how to leave the service without losing a few valuable features, such as games or public photo albums. Luckily, you can export or replicate many of Facebook's most useful features with ease, so you can quit Facebook without losing what you love about it. If Facebook is your all-in-one stop for socializing online, you're probably better off staying with the service and hoping that the company fixes a few issues in the next redesign. But if you're hanging on for the sake of just one or two features even though you'd rather quit, take a look at the following tips and tricks. With some help, you'll be able to enjoy the best parts of the most popular social network without all of that Facebook anxiety. If you quit Facebook, all your personal data should be deleted from the Facebook servers. Eventually. But if you want to leave Facebook without losing any of your data, you can download a copy of your Facebook information fairly easily. Simply navigate to your Facebook account settings, and you should should see a Download a copy of your Facebook data link at the bottom of the page. Click the link, and confirm that you'd like to have an archive created for you; Facebook will send a download link to your email address in a few hours when your archive is prepared. In the General Account Settings menu, you can find an option to download a copy of all the data you've shared on Facebook. Several mobile apps (such as the free SmartSync for iOS or AddressBook for Android) will scrape your Facebook friends info and automatically add it to your smartphone contacts database, as well. Even so, Facebook offers far more information on you and your friends than you'll ever really need, and it's better to be selective about what data you take when you leave. Think of it as an opportunity to do some spring cleaning. Unless you really want your whole Facebook friends list clogging up your phone, do a quick manual review of your friend info and copy any pertinent information before shutting your account down. Another trick lets you copy one of Facebook's most used and least appreciated features: the birthday reminder. Navigate to your Facebook Events page and click the magnifying glass icon. Select Birthdays, click the magnifying glass again, and choose Export Birthdays to quickly and easily grab your contacts' birthday info in formats compatible with every major scheduling program. This way, you'll remember to drop your best friend from college a birthday note even after you leave Facebook. I've kept Facebook around for years because, despite its many faults, it has been the single best way to schedule parties and other events with my friends. That's starting to change, however. In the past, Facebook was a superior event-planning platform because users were sure to check it often enough to catch event invites; with the rise of event spamming, though, more and more of my Facebook-using pals now ignore all Facebook event invitations. This problem forces me to confirm through other channels, removing Facebook's one real advantage over other event-planning tools. If you want to invite people to your event without using Facebook, you can find a lot of options, such as Evite and Eventbrite, that are free and work well. I'm a fan of Doodle, which uses a simple, clean interface and is incredibly quick to set up. Just enter an event name and time, and Doodle will provide you with a link that you can send to your friends by email; they can then RSVP with one click. The free and easy-to-use Doodle event-planning service is as good as (and in some ways better than) Facebook's Events app. 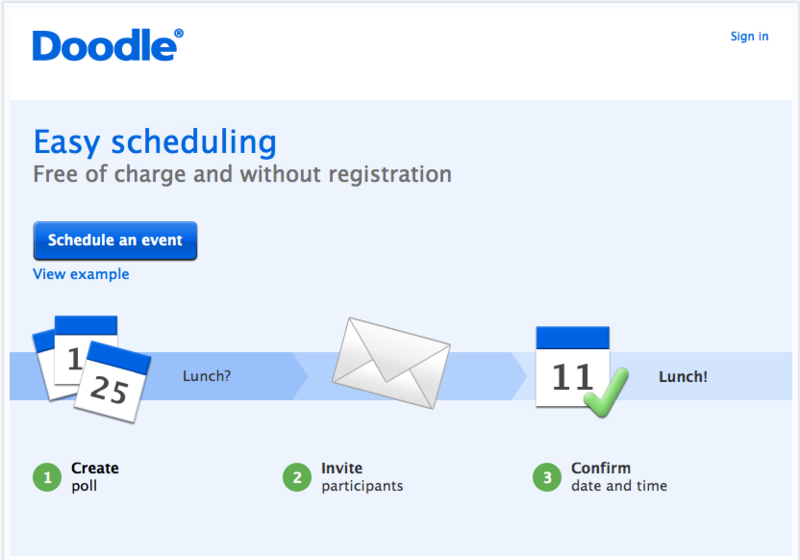 Doodle also offers a killer feature that Facebook doesn't: Doodle events allow participants to choose a start time from a list of host-provided options. This feature can save a lot of time, and it eliminates irritating auto-updates like the kind you get when you're trying to coordinate event timing via Facebook. 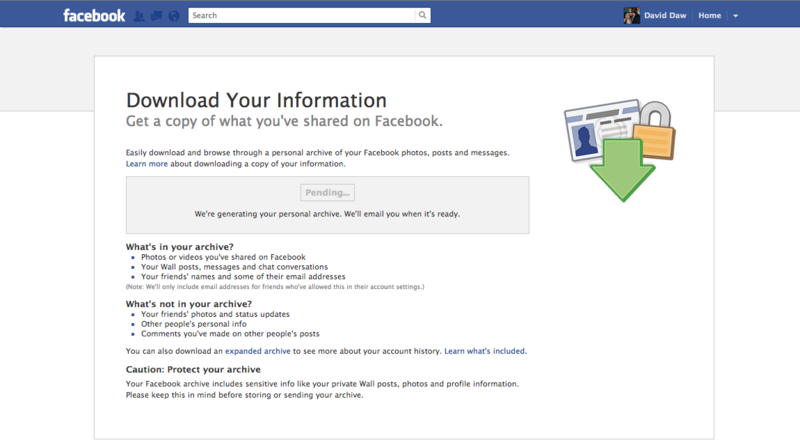 If you download your data from Facebook as described earlier, that archive will include any photos or videos you shared on Facebook. To start sharing them again, as well as to have the same quick online access without Facebook, you can transfer those photos to Google's photo-sharing service Picasa. Unfortunately, Facebook makes it all but impossible to export photo and video files directly to other hosting services. The easiest way to migrate photos over to Picasa is to download Move Your Photos, a Chrome extension that, once installed, will show you thumbnails of all your Facebook photos so that you can easily sort through them and transfer the ones you want to keep over to Google's photo-sharing service. If you want to transfer your Facebook photos to a social-network-agnostic photo-sharing site such as Flickr, you must manually download the photos to your hard drive and upload them directly to Flickr. If you use Chrome, the Move Your Photos extension offers an easy way to migrate your Facebook photos over to Picasa selectively. Of course, you can't replicate every Facebook feature without an account. (Sadly, a life without Facebook seems to mean a life without FarmVille; if you're a social games addict, check out a few social games on Google+.) On the bright side, moving your personal info, photos, and event calendar to a better, safer service should make quitting Facebook much simpler. Good luck!